In a medical emergency, every second counts, and just a few minutes can mean the difference between life and death. By reducing the crucial intervention time after an emergency happens, specialized technology is helping emergency response workers save lives. Emergency response workers are some of the most admired professionals in healthcare. They are dedicated and highly trained, responding to emergencies and providing critical care, often in stressful conditions. Equipping these professionals with specialized technology can increase efficiency, improve response times, and represent the critical difference between life and death. In Norway, a small country with a population of only 5 million, nearly 1,300 medical emergency calls are made every single day. Assuring that the right resources are deployed to the right patient at the right time requires a complex interplay of personnel, organizations, and technology that can enable fast, competent, and secure services 24/7. 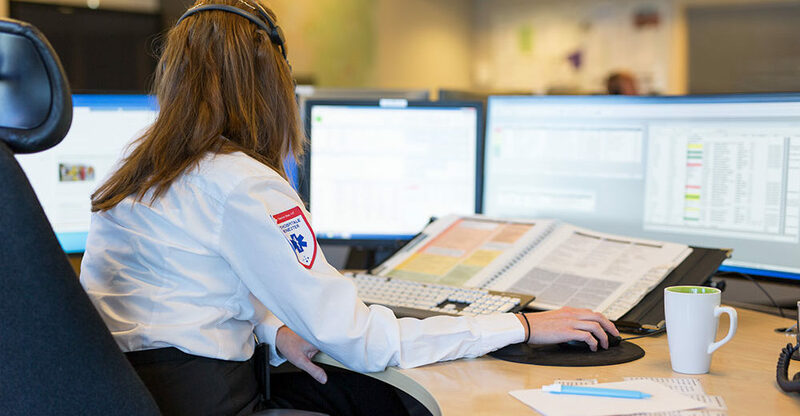 Norway’s emergency response system is handled by dedicated call centres with specific phone numbers, including fire (110), police (112) and acute medical response (113). In 2015, the Norwegian municipalities also established a national number for municipal medical emergencies. This dedicated system has numerous benefits, chief among them is a significant reduction in response time when a call is placed to the correct number. A tremendous amount of work happens behind the scenes to make this happen, both before and after someone calls an emergency response number. When a call is placed to acute medical response (113), dedicated professionals at the Emergency Medical Communication Centre (EMCC) answer immediately. Responding to the needs of the patient, they triage the event and make critical decisions about the appropriate response. They dispatch and stay in contact with the proper resources, while ensuring additional resources remain available for any future emergencies. All this happens within minutes, or even seconds, and requires a staggering amount of knowledge, training, and technology. Next, ambulances, helicopters, boats, and/or motorcycles arrive to assist the patient, including police and fire resources if needed. Medical professionals arrive on scene and provide life-saving first aid to stabilize the patient, then transporting them to the appropriate medical facility. At the same time, emergency teams in the acute rooms of the hospitals are alerted and prepare for the patient’s arrival. 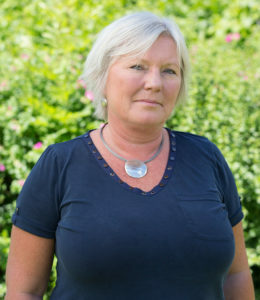 Marit Røed Halvorsen – Project manager. SamKAD Innovation and research Oslo Kommune, helseetaten. avd Aker. – We have conducted a study at our clinic recently to test whether the introduction of the IMTS digital triage application will increase patient safety by ensuring rapid and effective triage assessment, as well as increasing the quality of speed of assessment. We look forward to publishing the results of this study, hopefully in the Scandinavian Journal of Trauma, Resuscitation and Emergency Medicine this autumn. Emergency medical response providers have adopted technology in the EMCCs, out in the field, and in the hospitals which enables the transmission of critical information that assists with triage, resource allocation, dispatching, patient monitoring, and information sharing. As the leading eHealth niche company in the Nordics, CSAM has long been committed to delivering specialized solutions that support healthcare professionals with dedicated tasks and processes, and the company continues to focus on specialized solutions for the emergency medicine and response centres. – The emergency response community has specialized needs when it comes to connecting and delivering time-sensitive information, and this requires highly responsive and specialized solutions, said Kjellrun Borgmo, Business Area Manager at CSAM. – CSAM is proud to deliver critical response software and services to all of the Emergency Medical Communication Centres in Norway. We are also pleased to see that an increasing number of municipalities are adopting our solutions. CSAM has a portfolio of products designed to support emergency medical professionals, including the company’s AMIS products, which are designed for handling all aspects of emergency calls and responses. AMIS Basic assists operators in logging medical emergency calls, prioritizing inquiries, and dispatching appropriate resources. The web-based AMIS Ambulance Ordering System enables the ordering of planned ambulance and air transport, with instant confirmation and status updates from the ambulance to the hospital ward. AMIS Ambulance Station updates personnel on duty, registers ambulance patient records, and provides an overview of pending missions. Lastly, AMIS Ambulance Reception provides a list of patients arriving in an ambulance and details on their medical condition, including triage status. These products provide information to several systems within the emergency medical community, integrating to ensure optimal sharing of critical data that helps emergency response personnel save lives around the clock. They are used by most EMCCs, ambulance stations, emergency rooms, and casualty clinics in Norway. CSAM also offers interactive tools for assessing and prioritizing patients based on common medical indexes, including the Interactive Medical Index (IMI) which is based on the Norwegian Medical Index, and the Interactive Manchester Triage System (IMTS) which is based on the Manchester Triage Scale. All of CSAM’s emergency medical response products are developed in close cooperation with the EMCCs in Norway. As such, the current systems contain a massive number of historical incidents and calls, making them a goldmine of data for analytics and predictions. CSAM is continually adapting and creating tools in cooperation with its customers to deliver products that address emerging needs in the area of emergency medical response. Currently, there are several new products in the pipeline, including innovations in public connectivity apps, analytics, prediction, automation, resource optimization, and stronger support for ambulance personnel. The evolution of new healthcare response units will also support the need for innovations in-home care services technology. As new health response centres emerge, these customers will require specialized support and technology, similar to that of emergency response services. – By entering this new home care services response unit market, CSAM is adding a new niche to its portfolio, based on existing reusable components, said Borgmo. – Most importantly, we are continuing our rich history of delivering specialized solutions to healthcare professionals, helping them save lives each and every day.